Alone on his island, Robinson Crusoe can do whatever he pleases. For him, the question concerning rules of orderly human conduct — social cooperation — simply does not arise. This question can only arise once a second person, Friday, arrives on the island. Yet even then, the question remains largely irrelevant so long as no scarcity exists. Suppose the island is the Garden of Eden; all external goods are available in superabundance. They are "free goods," just as the air that we breathe is normally a "free" good. Whatever Crusoe does with these goods, his actions have no repercussions — neither with respect to his own future supply of such goods nor regarding the present or future supply of the same goods for Friday (and vice versa). Hence, it is impossible for there ever to be a conflict between Crusoe and Friday concerning the use of such goods. A conflict is only possible if goods are scarce. Only then will the need arise to formulate rules that make orderly, conflict-free social cooperation possible. In the Garden of Eden only two scarce goods exist: the physical body of a person and its standing room. Crusoe and Friday each have only one body and can stand only at one place at a time. Hence, even in the Garden of Eden conflicts between Crusoe and Friday can arise: Crusoe and Friday cannot occupy the same standing room simultaneously without coming into physical conflict with each other. Accordingly, even in the Garden of Eden rules of orderly social conduct must exist — rules regarding the proper location and movement of human bodies. Outside the Garden of Eden, in the realm of scarcity, there must be rules that regulate not only the use of personal bodies but also of everything scarce so that all possible conflicts can be ruled out. This is the problem of social order. In the history of social and political thought, myriad proposals have been offered as solutions to the problem of social order, and this variety of mutually incompatible proposals has contributed to the fact that the search for a single "correct" solution is frequently deemed illusory, yet a correct solution exists. There is no reason to succumb to moral relativism. The solution has been known for hundreds of years. In modern times this simple solution has been most closely associated with "classical liberalism." Let me formulate the solution, first for the special case represented by the Garden of Eden and subsequently for the general case represented by the "real" world of all-around scarcity, and then briefly indicate why this solution must be considered just, as well as economic. In the Garden of Eden, the solution is provided by the simple rule stipulating that everyone may place or move his own body wherever he pleases, provided only that no one else is already standing there and occupying the same space. Outside of the Garden of Eden, in the realm of all-around scarcity, the solution is provided by four interrelated rules. First, every person is the proper owner of his own physical body. Who else, if not Crusoe, should be the owner of Crusoe's body? Otherwise, would it not constitute a case of slavery, and is slavery not unjust as well as uneconomical? Secondly, every person is the proper owner of all nature-given goods that he has perceived as scarce and put to use by means of his body, before any other person. Indeed, who else, if not the first user, should be their owner? The second or third one? Were this so, however, the first person would not perform his act of original appropriation, and so the second person would become the first, and so on and on. That is, no one would ever be permitted to perform an act of original appropriation and mankind would instantly die out. Alternatively, the first user together with all late-comers become part-owners of the goods in question. Then conflict will not be avoided, however, for what is one to do if the various part-owners have incompatible ideas about what to do with the goods in question? This solution would also be uneconomical because it would reduce the incentive to utilize goods perceived as scarce for the first time. In the third place, every person who, with the help of his body and his originally appropriated goods, produces new products thereby becomes the proper owner of these products, provided only that in the process of production he does not physically damage the goods owned by another person. Finally, once a good has been first appropriated or produced, ownership in it can be acquired only by means of a voluntary, contractual transfer of its property title from a previous to a later owner. The institution of private property and in particular the establishment of private property by means of original appropriation are frequently referred to as "conventions." However, as should have become clear, this is false. A convention serves a purpose, and it is something to which an alternative exists. For instance, the Latin alphabet serves the purpose of written communication. There exists an alternative to it, the Cyrillic alphabet. That is why it is referred to as a convention. What, however, is the purpose of action-norms? The avoidance of possible conflict! Conflict-generating norms are contrary to the very purpose of norms. However, with regard to the purpose of conflict-avoidance, the two mentioned institutions are not just conventional; no alternative to them exists. Only private property makes it possible for all otherwise unavoidable conflicts to be avoided; and only the principle of property acquisition by acts of original appropriation performed by specific individuals at a specific time and location makes it possible for conflicts to be avoided from the beginning of mankind on. As important as this discovery is, however, it leaves us with another even more difficult problem. Even if we all know how to avoid all possible conflict, and even if we all know that in doing so all-around prosperity will be maximized in the long run, it does not follow that we are always interested in conflict-avoidance and the long-run consequences of our actions. In fact, mankind being what it is, murderers, robbers, thieves, thugs, and con-artists, or people not acting in accordance with the above mentioned rules, will always exist, and life in society will be impossible if they are not deterred. In order to maintain law and order, it is necessary that the members of society be prepared and equipped to pressure anyone who does not respect the life and property of others to acquiesce to the rules of society. How and by whom is this enforcement of law and order accomplished? The answer given by classical liberals and by almost everyone else is only too well known. The indispensable task of maintaining law and order is the unique function of the state. How is the state defined, then? A state is not simply a specialized firm. Conventionally, the state is defined as an agency that possesses two unique characteristics. First, the state is an agency that exercises a territorial monopoly of ultimate decision-making. That is, it is the ultimate arbiter in every case of conflict, including conflicts involving itself, and it allows no appeal above and beyond itself. Furthermore, the state is an agency that exercises a territorial monopoly of taxation. That is, it is an agency that unilaterally fixes the price private citizens must pay for its provision of law and order. As widespread as the classical liberal view is regarding the necessity of the institution of a state as the provider of law and order, several rather elementary economic and moral arguments show this view to be entirely misguided. Among political economists and political philosophers it is one of the most widely accepted proposition that every "monopoly" is "bad" from the viewpoint of consumers. Here, monopoly is understood as an exclusive privilege granted to a single producer of a commodity or service, or as the absence of "free entry" into a particular line of production. For example, only one agency, A, may produce a given good or service, X. Such monopoly is "bad" for consumers because, shielded from potential new entrants into a given area of production, the price of the product will be higher and its quality lower than under competitive conditions. Accordingly, it should be expected that state-provided law and order will be excessively expensive and of particularly low quality. However, this is only the mildest of errors. Government is not just like any other monopoly such as a milk or a car monopoly that produces low quality products at high prices. Government is unique among all other agencies in that it produces not only goods but also bads. Indeed, it must produce bads in order to produce anything that might be considered a good. As noted, the government is the ultimate judge in every case of conflict, including conflicts involving itself. Consequently, instead of merely preventing and resolving conflict, a monopolist of ultimate decision-making will also provoke conflict in order to settle it to his own advantage. That is, if one can only appeal to government for justice, justice will be perverted in the favor of government, constitutions and supreme courts notwithstanding. Indeed, these are government constitutions and courts, and whatever limitations on government action they may find is invariably decided by agents of the very same institution under consideration. Predictably, the definition of property and protection will be altered continually and the range of jurisdiction expanded to the government's advantage. The idea of eternal and immutable law that must be discovered will disappear and be replaced by the idea of law as legislation — as flexible state-made law. Even worse, the state is a monopolist of taxation, and while those who receive the taxes — the government employees — regard taxes as something good, those who must pay the taxes regard the payment as something bad, as an act of expropriation. As a tax-funded life-and-property protection agency, then, the very institution of government is nothing less than a contradiction in terms. It is an expropriating property protector, "producing" ever more taxes and ever less protection. Even if a government limited its activities exclusively to the protection of the property of its citizens, as classical liberals have proposed, the further question of how much security to produce would arise. Motivated, as everyone is, by self-interest and the disutility of labor but equipped with the unique power to tax, a government agent's goal will invariably be to maximize expenditures on protection, and almost all of a nation's wealth can conceivably be consumed by the cost of protection, and at the same time to minimize the production of protection. The more money one can spend and the less one must work to produce, the better off one will be. In sum, the incentive structure inherent in the institution of government is not a recipe for the protection of life and property, but instead a recipe for maltreatment, oppression, and exploitation. This is what the history of states illustrates. It is first and foremost the history of countless millions of ruined human lives. Once classical liberalism had erroneously assumed the institution of government to be necessary for the maintenance of law and order, the following question arose: Which form of government is best suited for the task at hand? While the classical liberal answer to this question was by no means unanimous, it was still loud and clear. The traditional form of princely or royal government was apparently incompatible with the cherished idea of universal human rights for it was government based on privilege. Accordingly, it was ruled out. How, then, could the idea of the universality of human rights be squared with government? The liberal answer was by opening participation and entry into government on equal terms to everyone via democracy. Anyone — not just a hereditary class of nobles — was permitted to become a government official and exercise every government function. However, this democratic equality before the law is something entirely different from and incompatible with the idea of one universal law, equally applicable to everyone, everywhere, and at all times. In fact, the former objectionable schism and inequality of the higher law of kings versus the subordinate law of ordinary subjects is fully preserved under democracy in the separation of public versus private law and the supremacy of the former over the latter. Under democracy, everyone is equal insofar as entry into government is open to all on equal terms. In a democracy no personal privileges or privileged persons exist. However, functional privileges and privileged functions exist. As long as they act in an official capacity, public officials are governed and protected by public law and thereby occupy a privileged position vis-à-vis persons acting under the mere authority of private law, most fundamentally in being permitted to support their own activities by taxes imposed on private law subjects. Privilege and legal discrimination will not disappear. To the contrary. Rather than being restricted to princes and nobles, privilege, protectionism, and legal discrimination will be available to all and can be exercised by everyone. Predictably, then, under democratic conditions the tendency of every monopoly to increase prices and decrease quality is more pronounced. As hereditary monopolist, a king or prince regarded the territory and people under his jurisdiction as his personal property and engaged in the monopolistic exploitation of his "property." Under democracy, monopoly, and monopolistic exploitation do not disappear. Even if everyone is permitted to enter government, this does not eliminate the distinction between the rulers and the ruled. Government and the governed are not one and the same person. Instead of a prince who regards the country as his private property, a temporary and interchangeable caretaker is put in monopolistic charge of the country. The caretaker does not own the country, but as long as he is in office he is permitted to use it to his and his proteges' advantage. He owns its current use — usufruct — but not its capital stock. This does not eliminate exploitation. To the contrary, it makes exploitation less calculating, carried out with little or no regard to the capital stock. Exploitation is shortsighted and capital consumption systematically promoted. In light of the multiple errors of classical liberalism, then, how is law and order vis-à-vis actual and potential lawbreakers maintained? The solution lies in a private law society — a society where every individual and institution is subject to one and the same set of laws! No public law granting privileges to specific persons of functions (and no public property) exists in this society. There is only private law (and private property), equally applicable to each and everyone. No one is permitted to acquire property by any other means than through original appropriation, production, or voluntary exchange; and no one possesses the privilege to tax and expropriate. Moreover, no one in a private law society is permitted to prohibit anyone else from using his property in order to enter any line of production and compete against whomever he pleases. More specifically, in order to be just and efficient, the production and maintenance of law will have to be undertaken by freely financed and competing individuals and agencies. How can this be done? While it is impossible to predict the precise shape and form that the "security industry" would take within the framework of a private law society — just as it is impossible to predict the specific structure of almost any industry under such hitherto non-existing circumstances — a significant number of fundamental structural changes as compared to the status quo of state-provided security protection can be predicted. First, in complex societies one aspect of the emerging solution will only be of secondary importance, but under no circumstances should it be overlooked. Whereas the statist provision of law and order has led to the successive disarmament of the population, rendering it increasingly defenseless against lawbreakers, in a private law society essentially no restrictions on the private ownership of firearms and other weapons would exist. Everyone's elementary right to engage in self-defense to protect one's life and property against invaders would be sacrosanct, and as one knows from the experience of the not-so-wild Wild West, as well as numerous empirical investigations into the relationship between the frequency of gun ownership and crime rates, more guns imply less crime. Intuition dictates this, but government propaganda relentlessly tries to deny it. However, in complex modern societies self-defense will constitute only a small part in the overall production of security. In today's world we do not produce our own shoes, suits and telephones; we partake in the advantages of the division of labor. This is also true of the production of security. To a large extent, we rely on specialized agents and agencies to protect our life and property. In particular, most people rely on freely financed and competing insurance companies for their protection, and this reliance on insurers will tend to increase and intensify the greater and more valuable the quantity of one's property. Insurance companies in turn will associate and cooperate with police and detective agencies, either directly as a subdivision of the insurance company or indirectly as separate business entities. At the same time, insurance agencies will cooperate constantly with internal and with independent, external arbitrators and arbitration agencies. How would this competitive system of interconnected insurance, police, and arbitration agencies work? Competition among insurers, police, and arbitrators for paying clients would bring about a tendency toward a continuous fall in the price of protection (per insured value), thus rendering protection more affordable. In contrast, a monopolistic protector who may tax the protected can charge ever higher prices for his services. Furthermore, as already indicated, protection and security are goods and services that compete with others. If more resources are allocated to protection, fewer can be expended on cars, vacations, food, or drink, for example. Also, resources allocated to the protection of A or group A (people living along the Pacific) for instance, compete with resources expended on the protection of B or group B (people living along the Atlantic). As a tax-funded protection monopolist, the state's allocation of resources will necessarily be arbitrary. There will be overproduction (or underproduction) of security as compared to other competing goods and services, and there will be overprotection of some individuals, groups, or regions and under-protection of others. In distinct contrast, in a system of freely competing protection agencies all arbitrariness of allocation (all over- and underproduction) would vanish. Protection would be accorded the relative importance that is has in the eyes of voluntarily paying consumers, and no person, group, or region would receive protection at the expense of any other one, but each would receive protection in accordance with its payments. In addition, insurers would have to indemnify their clients in the case of actual damage; hence, they must operate efficiently. Regarding social disasters (crime) in particular, this means that the insurer would be concerned above all with effective prevention, for unless he could prevent a crime, he would have to pay up. Further, if a criminal act could not be prevented, an insurer would still want to recover the loot, apprehend the offender, and bring him to justice, for in so doing the insurer could reduce his costs and force the criminal — rather than the victim and his insurer — to pay for the damages and cost of indemnification. In distinct contrast, as compulsory monopolists states do not indemnify victims, and because they can resort to taxation as a source of funding, they have little or no incentive to prevent crime or to recover loot and capture criminals. Indeed, if they do manage to apprehend a criminal, they typically force the taxpaying victim and others to pay for the criminal's incarceration, thus adding insult to injury. It has already been pointed out that private law societies are characterized by an unrestricted right to self-defense and hence by widespread private gun and weapon ownership. This tendency is further strengthened by the important role of insurance companies in such societies. All states attempt to disarm their subject population, for the obvious reason that it is less dangerous to collect taxes from an unarmed than from an armed man. If a freely financed insurance company were to demand as a prerequisite of protection that potential clients hand over all means of self-defense, it would immediately arouse the utmost suspicion as to their true motives, and they would quickly go bankrupt. In their own best interest, insurance companies would reward armed clients, in particular those able to certify some level of training in the handling of arms, charging them lower premiums reflecting the lower risk that they represent. Just as insurers charge less if home owners have an alarm system or a safe installed, so would a trained gun owner represent a lower insurance risk. As tax-funded monopolists of ultimate decision making, states can externalize the costs associated with aggressive behavior onto hapless taxpayers. Hence, states are by nature more prone to become aggressors and warmongers than agents or agencies that must themselves bear the costs involved in aggression and war. Insurance companies are by their very nature defensive rather than aggressive agencies. On the one hand this is so because every act of aggression is costly, and an insurance company engaged in aggressive conduct would require comparatively higher premiums, implying the loss of clients to non-aggressive competitors. On the other hand, it is not possible to insure oneself against every conceivable "risk." Rather, it is only possible to insure oneself against "accidents," i.e., risks over whose outcome the insured has no control and to which he contributes nothing. Thus, it is possible to insure oneself against the risk of death and fire, for instance, but it is impossible to insure oneself against the risk of committing suicide or setting one's own house on fire. Similarly, it is impossible to insure oneself against the risk of business failure, of unemployment, or of disliking one's neighbors, for in each case one has some control over the event in question. Most significantly, the un-insurability of individual actions and sentiments (in contradistinction to accidents) implies that it is also impossible to insure oneself against the risk of damages resulting from one's own prior aggression or provocation. Instead, every insurer must restrict the actions of his clients so as to exclude all aggression and provocation on their part. That is, any insurance against social disasters such as crime must be contingent on the insured submitting themselves to specified norms of non-aggressive conduct. Incidentally, due to the same reasons and financial concerns, insurers will tend to require that all their clients abstain from all forms of vigilante justice (except perhaps under quite extraordinary circumstances), for vigilante justice, even if justified, invariably causes uncertainty and provokes possible third party intervention. By obliging their clients instead to submit to regular publicized procedures whenever they think they have been victimized, these disturbances and associated costs can be largely avoided. Lastly, it is worth pointing out that while states as tax funded agencies can — and do — engage in the large-scale prosecution of victimless crimes such as "illegal drug" use, prostitution, or gambling, these "crimes" would tend to be of little or no concern within a system of freely funded protection agencies. "Protection" against such "crimes" would require higher insurance premiums, but since these "crimes," unlike genuine crimes against persons and property, do not create victims, very few people would be willing to spend money on such "protection." Last and most important, a system of competing protection agencies would have a two-fold impact on the development of law. On the one hand, it would allow for greater variability of law. Rather than imposing a uniform set of standards onto everyone (as under statist conditions), protection agencies could compete against each other not just via price but also through product differentiation. There could exist side by side, for instance, Catholic protection agencies or insurers applying Canon law, Jewish agencies applying Mosaic law, Muslim agencies applying Islamic law, and agencies applying secular law of one variety or another, all of them sustained by a voluntarily paying clientele. Consumers could choose the law applied to them and their property. No one would have to live under "foreign" law. On the other hand, the very same system of private law and order production would promote a tendency toward the unification of law. The "domestic" law — Catholic, Jewish, Roman, etc. — would apply only to the person and property of those who had chosen it, the insurer, and all others insured by the same insurer under the same law. Canon law, for instance, would apply only to professed Catholics and deal solely with intra-Catholic conflict and conflict resolution. Yet it is also possible, of course, that a Catholic might come into conflict with the subscriber of some other law code, e.g., a Muslim. If both law codes reached the same or a similar conclusion, no difficulties exist. However, if competing law codes arrived at distinctly different conclusions (as they would at least in some cases), a problem arises. "Domestic" (intra-group) law would be useless, but every insured person would want protection against the contingency of inter-group conflicts as well. In this situation it cannot be expected that one insurer and the subscribers of its law code simply subordinate their judgment to that of another insurer and its law. Rather, for all the parties involved there is only one credible and acceptable way out of this predicament. From the outset, every insurer would be compelled to submit itself and its clients to arbitration by a truly independent third party. This party would not only be an independent entity, however, but at the same time the unanimous choice of both parties. It would be agreed upon because of its commonly perceived ability to find mutually agreeable (fair) solutions in cases of inter-group disagreement. Moreover, if an arbitrator failed in this task and arrived at conclusions that were perceived as "unfair" or "biased" by either one of the insurers or their clients, this person or agency would not likely be chosen as an arbitrator in the future. In sum, protection and security contracts would come into existence. Insurers (unlike states) would offer their clients contracts with well-specified property descriptions and clearly defined duties and obligations. Likewise, the relationship between insurers and arbitrators would be governed by contract. Each party to a contract, for the duration or until fulfillment of the contract, would be bound by its terms and conditions; and every change in the terms or conditions of a contract would require the unanimous consent of all parties concerned. That is, in a private law society, unlike under statist conditions, no "legislation" would exist. No insurer could get away with promising its clients protection without letting them know how or at what price, and insisting that it could unilaterally change the terms and conditions of the protector-client relationship. Insurance-clients would demand something significantly better, and insurers would supply contracts and constant law, instead of promises and shifting and changing legislation. Furthermore, as a result of the continual cooperation of various insurers and arbitrators, a tendency toward the unification of property and contract law and the harmonization of the rules of procedure, evidence, and conflict resolution would be set in motion. Through buying protection-insurance, everyone would share in the common goal of striving to reduce conflict and enhance security. Moreover, every single conflict and damage claim, regardless of where and by or against whom, would fall into the jurisdiction of one or more specific insurance agencies and would be handled either by an individual insurer's "domestic" law or by the "international" law provisions and procedures agreed upon in advance by a group of insurers. Such a system would assure more complete and perfect legal stability and certainty than any system of security to which we can currently appeal. 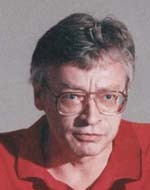 Hans-Hermann Hoppe is professor of economics at the University of Nevada at Las Vegas. He is the author of The Economics and Ethics of Private Property. Here is a collection of his articles. Here is a video lecture version of this article.